The new ABI Blenheim at St Audries Bay Holiday Club Somerset looks fabulous with its front opening doors which make the most of the sea views. The Abi Blenheim is both spacious and welcoming and is a space the family can come and escape to and relax. The open plan living area has a comfortable L-shaped sofa which includes a pull out double bed making it easy to accommodate extra guests. The display wall includes a stunning feature fire place with electric fire and plenty of space for a large TV. There is plenty of space for your book collection or ornaments. The kitchen is spacious and has plenty of storage. This comes with some added extras such as integrated microwave and integrated fridge freezer so you can move straight in to your holiday home with no fuss. The home is made for modern day living and has USB sockets throughout, tv points in the bedrooms and a shaver socket to charge your razors and toothbrushes. The bedrooms have a boutique feel and are sumptuous and cosy creating a haven for relaxation. The master bedroom has a king sized bed and an en-suite WC and handbasin. All in all the stylish fittings and furnishings create a luxury home from home making this a great choice to escape from everyday life. There is a choice of plots available with this holiday home and some with sea views! St. Audries enjoys one of the best locations on the Somerset Coast set in 20 secluded acres. With unspoiled views across the sea, quiet open spaces and a superb range of facilities it really does offer an unrivalled Holiday Home Ownership Experience.
. Another favourite of ours, is the historic medieval village of Dunster. The ancient castle with its subtropical gardens, Yarn Market and the many listed buildings make Dunster a must visit destination. 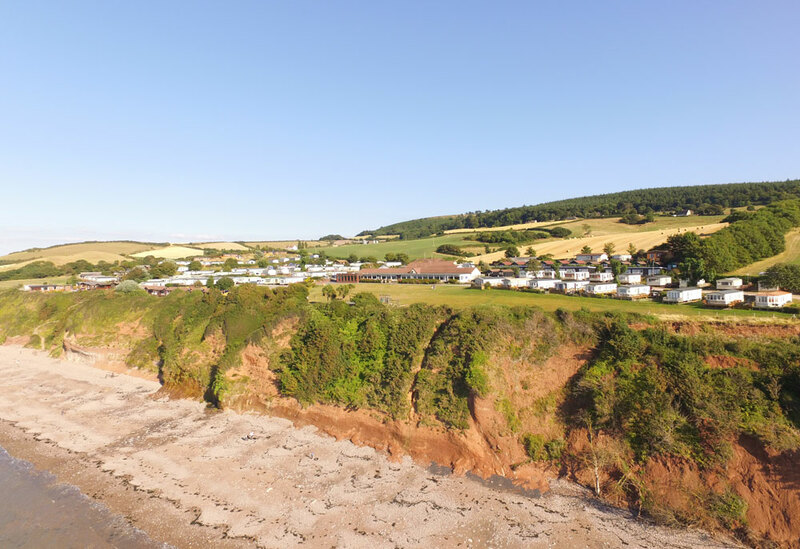 Whether you would like to relax or get out and about, St Audries Bay Holiday Club provides the perfect base for your new holiday home.